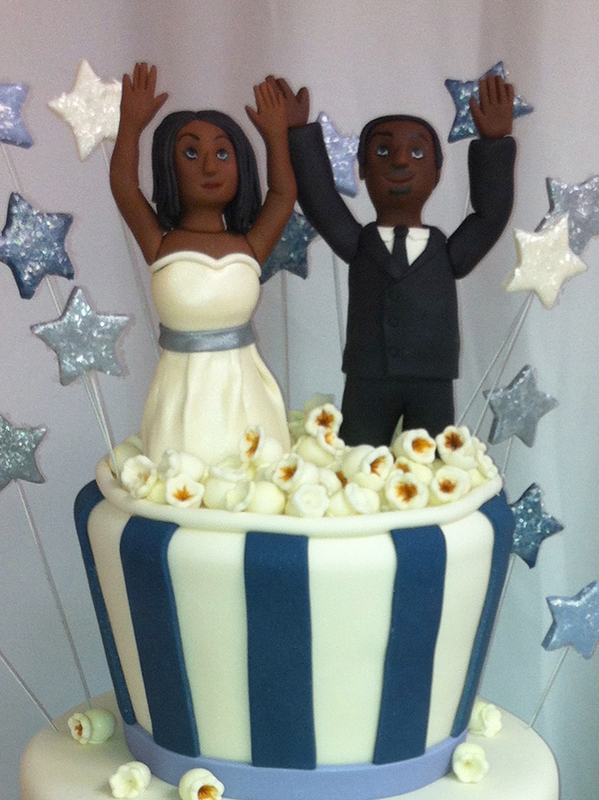 Almost half of our cakes include 3D decoration of some sort in their design. 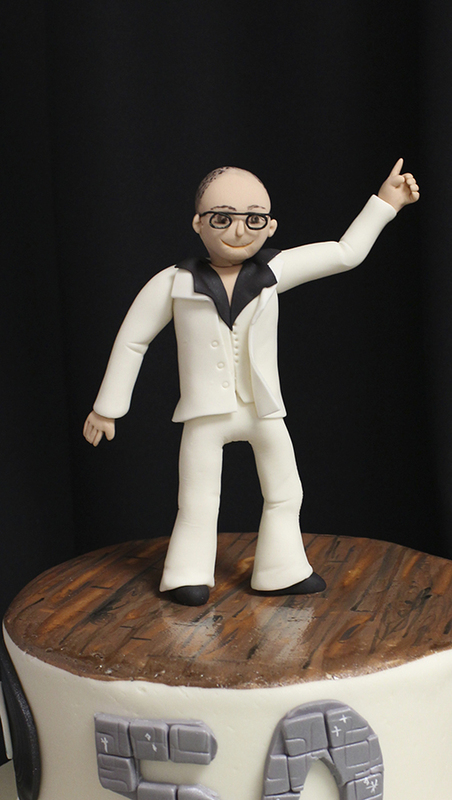 The most popular of our 3D decorations is our custom people figurines. 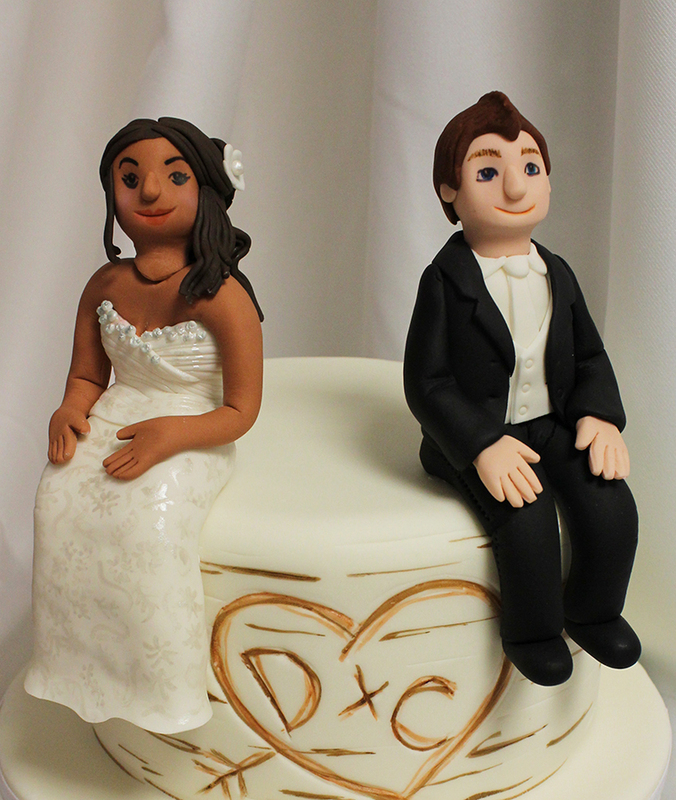 Our sugar figurines are hand-sculpted out of a fondant gumpaste mix which allows us enough time to sculpt with but will dry hard within a few hours to be able to stand on it’s own. Just for fun, here is a variety of a few of our favorite, recent figurines. 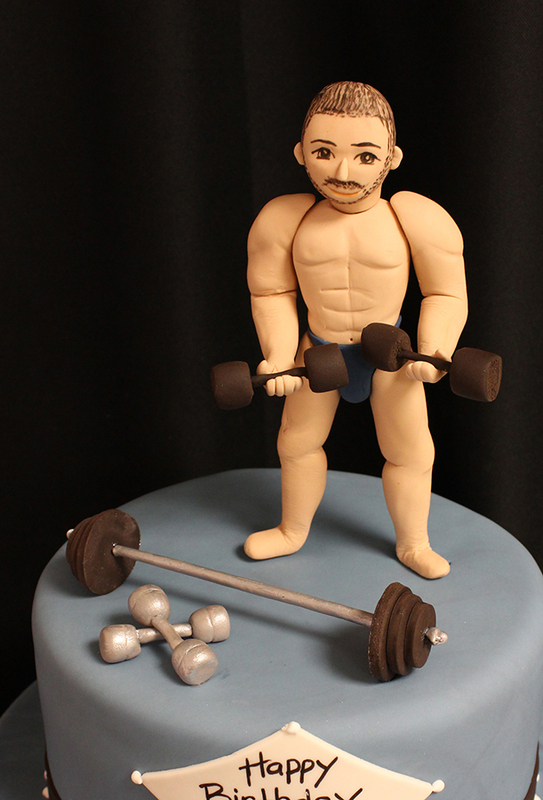 The best part about these figurines is that even though they’re edible (not quite as tasty as the cake however) they’re more fun kept as keepsakes. As long as you keep them dry and out of the sun they’ll last a long time. This is especially neat for wedding cake toppers, they become unique memory of your special day. 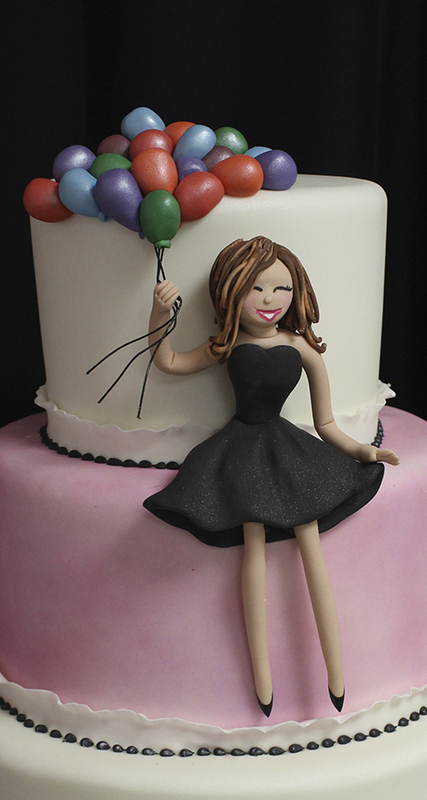 Stay tuned as we will be adding a Sugar Figurines Class to our class schedule soon (sometime in March). Let us know if you’re interested. These remind me of MTV’s Celebrity Death Match, in the best possible way. definitely interested in a figurine class! please keep me posted…will be coming from nyc and need to plan in advance. can’t wait!